I am Associate Professor of Early Modern English Literature at the Department of English Literature, University of Reading, UK. I teach medieval and Renaissance literature and rhetoric / persuasive writing. 1998 Ph.D., University of Cambridge, St. John’s College. 1994 M.Litt. (Masters degree by research), University of Dublin, Trinity College. 1991 B.A. (Hons. ), University of Dublin, Trinity College. Politics and the Paul’s Cross Sermons, 1558-1642 (Oxford University Press, 2011), ISBN: 0199571767. Sermons at Paul’s Cross, 1520-1640 ed. Torrance Kirby, Paul Stanwood, Mary Morrissey and John N. King (Oxford University Press, 2017), ISBN: 9780198723615. ‘Sermon notes and Manuscript Communities’, in Manuscript Identities, eds Cathy Shrank and Alan Bryson, Huntington Library Quarterly, 80.2 (2017), 293-307, ISSN: 0018-7895. ‘Exhortation and sympathy in the Paul’s Cross Jeremiads’, English Studies 98.7 (2017). (with Dr. Gillian Wright) ‘Piety and Sociability in early modern women’s devotional writing’, Women’s Writing 13.1 (2006), pp. 44-59, ‘Epistolarity to 1900’, ed. Joanna Moody; ISSN: 0969-9082; DOI: 10.1080/09699080500436075. ‘Scripture, style and persuasion in seventeen-century English theories of preaching’ The Journal of Ecclesiastical History, vol. 53, No. 4 (October, 2002), pp. 686-706; ISSN: 0022-0469; DOI: 10.1017/S002204690100149X. ‘Trinity College, Dublin Manuscript 333: William Chappell’s Method of Preaching’ Long Room, 44-45 (2000), pp. 22-29; ISSN: 0024-631X. ‘Narrative authority in spiritual life-writing: the example of Dionys Fitzherbert (fl. 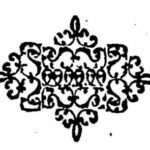 1608-1641)’, The Seventeenth Century, XV (2000), pp. 1-17; ISSN: 0268 117X. ‘Interdisciplinarity in early modern sermon studies’, The Historical Journal, 42.4 (1999), pp. 1111-1123: ISSN: 0018 246X. ‘Nut, Kernels, Wading Lambs and Swimming Elephants: Preachers and their handling of biblical texts’, in The English Bible in the Early Modern World, eds. Tadhg O’Hannachrain and Robert Armstrong (Brill, 2018), ISBN: 9789040347977. ‘Confessionalism and Conversion in the Reformation’, in Oxford Handbooks Online, New York: Oxford University Press, published online Oct. 2015. ‘Ornament and Repetition: Biblical Interpretation in Early Modern English Preaching’, in The Oxford Handbook of the Bible in Early Modern England, ed. Kevin Killeen Helen Smith and Rachel Willie (Oxford University Press, 2015), pp. 303-316, ISBN: 9780199686971. ‘The Paul’s Cross Jeremiad and Other Sermons of Exhortation’, in Paul’s Cross and the culture of persuasion in England, 1520–1640, ed. Torrance Kirby and P G Stanwood (Leiden: Brill, 2014), pp. 421-438, ISBN: 9789004242272. ‘Episcopal Chaplains and Control of the Media’, in The Cultural Agency of Chaplains in Early Modern England, eds Hugh Adlington, Tom Lockwood and Gillian Wright (Manchester University Press, 2013), pp. 64-82. ISBN 9780719088346. ‘Paul’s Cross: Context, Occasion, Significance’, in English Past and Present: Selected papers from the IAUPE Malta Conference in 2010 ed. Wolfgang Viereck (Frankfurt-am-Mein: Peter Lang, 2012), ISBN: 09783631638958, pp. 49-56. ‘Sermons, Primers and Prayer books’, in The Oxford History of Popular Print Culture, vol. 1, Beginnings to 1660, ed. Joad Raymond (Oxford University Press, 2011), pp. 492-510; ISBN: 019928704X. ‘Presenting James VI and I to the public: preaching on political anniversaries at Paul’s Cross’, in James VI and I: Ideas, Authority, and Government, ed. Ralph Houlbrooke (Ashgate, 2006), pp. 107-121, ISBN: 0 7546 5410 9. ‘John Donne as a conventional Paul’s Cross Preacher’, in John Donne’s Professional Lives, ed. David Colclough (Cambridge: D.S. Brewer, 2003), pp. 159-178, ISBN 978-0859917759.